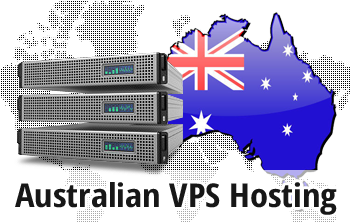 The best VPS servers in Australia! Home ⁄ Buy VPS Web Hosting ⁄ The best VPS servers in Australia! A VPS from iClickAndHost will guarantee very fast page load times for your visitors from Asia, Australia, New Zealand and the Pacific region. We offer fast and reliable OpenVZ and Virtuozzo VPS servers in one of the best Australian data centers in the heart of Sydney. All of our VPS servers are SSD based and have guaranteed dedicated resources, guaranteed consistent I/O and guaranteed high uptime. Our VPS servers come with a lot of free extras - like the free Hepsia Control Panel, allowing you to manage your VPS with a mouse click - drag and drop files, manage domains, e-mail accounts, SSLs, activate Dropbox and Google Drive backups, manage caching and much more. With the Hepsia Control Panel you can also enjoy complimentary free VPN with 5Gb of traffic included. Select the VPS package that fits your needs. You can always upgrade or downgrade to fit your budget!